There is something peaceful and calming about watching them. Take the Brown Pelican for an example. I've never really found them very attractive, but lately, as I take more time to observe them, I find them quite charming. I've learned to identify the young ones who are white breasted. As they mature, their chests turn dark, as you can see on this fellow below. These sweet creatures have survived for over 40 million years, virtually unchanged. These young'ins are probably going to live up to 40 years. That is, if they don't get caught up in fishing lines. 80% will become entangled either in an active line or in discarded line thrown thoughtlessly into the sea. Just the other day, while boating, we removed a fishing line that some folks thoughtlessly left strung across several posts. Undoubtedly, some feathered friend would have met their doom there. I hope you find these guys as charming as I do. I had fun capturing this fellow below walking, or rather ~waddling~ down the pier. I think I have begun waddling like this. Vacations can do that to a girl! I hope to get back into a better routine soon. I so enjoy all your comments and visits. It means a lot. Thank you. They are curiously attractive; I really like the first photo. I, too, was unaware they lived so long, thanks for the lesson! My feathers are waddling this week too. ugh. Cute pics of these waddlers though! You definitely caught that waddle!!! You are a great photographer of birds, Reena. The first pelican image looks like a wonderful painting. Beautiful birds to see Reena and I have been fotunate enough to have visited Florida and have seen them in the wild..
We love your bird pictures and commentary too!! Keep on doing what you do. Boy I had an sighting yesterday. 2 yellow bellied sapsuckers. Just a few feet away from our porch. I can't remember the last time I saw one. I would have loved a picture but my camera was inside. So I just took a picture with my mind's eye. 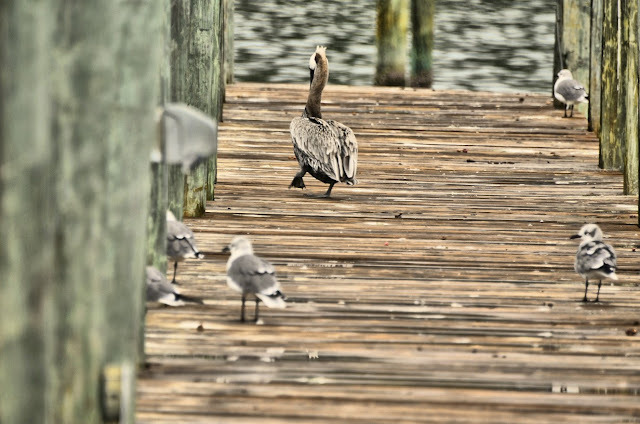 I love your brown pelican shots - just beautiful! i love those birds for some reason. I learned something new.. had no idea they live 40 yrs.... there were three flying above my head the other day and of course I get dizzy when trying to shoot up into the sky and only managed to capture a blue blur. your shots are precious! Pelicans are a face of mine..... But I don't get too see them very often! Your captures are superb! Unchanged for 40 million years~~~ must mean that they're entirely perfect as is. I love seeing them fly and glide with seemingly little effort along our western coast. They're just beautiful in my opinion and your photos are fantastic as usual. I enjoy watching all life's creatures - even humans - LOL! 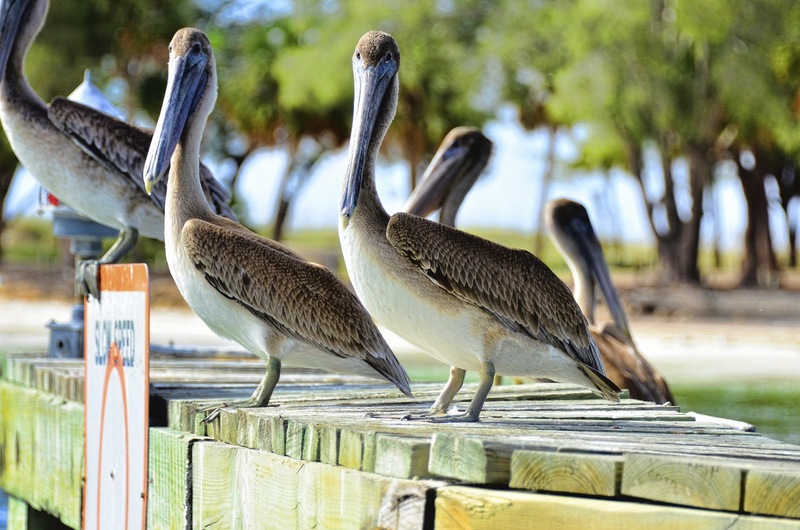 Save the Pelicans! Yeah. Lovely photos reena. Cheers!! P. S. Are pelicans an endangered animal? You got some beautiful shots. I'd never really come into close contact with a Pelican until we went to North Carolina recently. They really are extraordinary birds and I totally get why you love photographing our feathered friends. If they were people...>I would think of them like old senators. Not sure why. I LOVE this post!! I have never seen a real pelican, my friends in Florida have the everywhere. 80% get caught, that is so BAD!!! I also didn't know how many millions of years they have existed, or that they live 40 years, that is LONG for a bird. Know why I like this post so much? We are birdwatchers! Second picture is my favorite. Beautiful Pelicans, they are awesome. I think they are perfectly charming and your photos are wonderful (as always). I love to watch the birds too, especially when they live in groups like this, it makes them that much more fun (and relaxing) to watch--don't you wonder what they're thinking? I always enjoy watching pelicans and your photos are great. I love it! I fell in love with pelicans while vacationing in Florida. I love these birds. One good reason is because they're the state bird of Louisiana. :) Other than that, I find them beautiful. I did not know they live such a long life. You always capture such gorgeous details! Such lovely birds in their own wonderful way and you do get such terrific captures! Yep, love that waddle, too! Hope your week is going well, Reena! they are quite charming in their own unique sort of way. I had no idea that they lived that long. A pelican is a funny bird. His beak can hold more than his bellycan. I don't know how in the hellhecan. My dad told me this when I was very young and I always thought I was cussing whenever I said it to anyone else. They really are photogenic, aren't they? 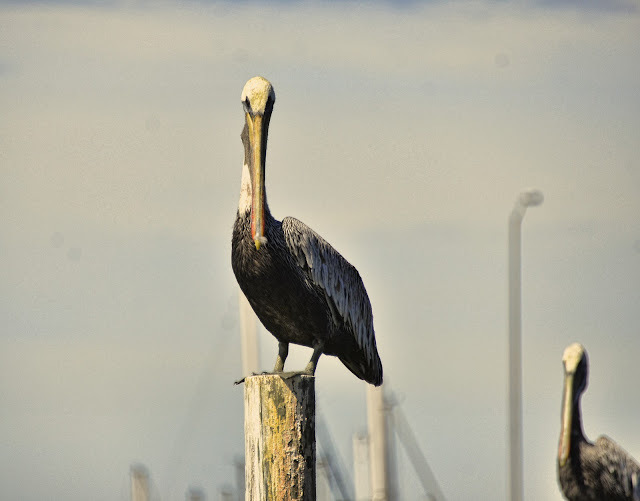 I have some pelican photos from our coast and really think I should go take some more. And maybe have some fish tacos while I'm there. It's only a 20 minute drive. Want me to bring you some tacos? I love pelicans and the young ones are adorable. Fantastic photos, Reena! The great thing about having a passion for something -- you get to learn as you go. these are just too cute for words!! love the waddle!! Living on 15 miles from Louisiana and near the Gulf Coast, brown pelicans are one of my favorites. They are Louisiana's state bird. 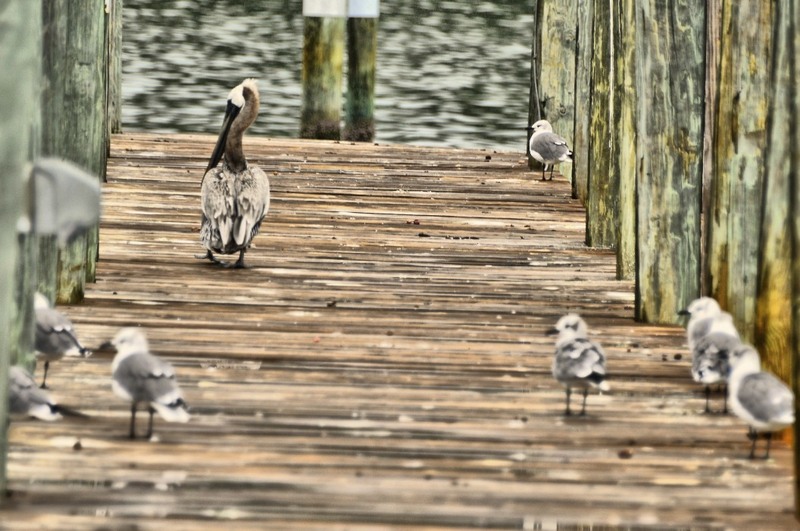 Love those birds -- they look like home (our Florida one). And they definitely do look prehistoric. My mom's favorite feathered friend. I think of her every time I see one! Thanks! 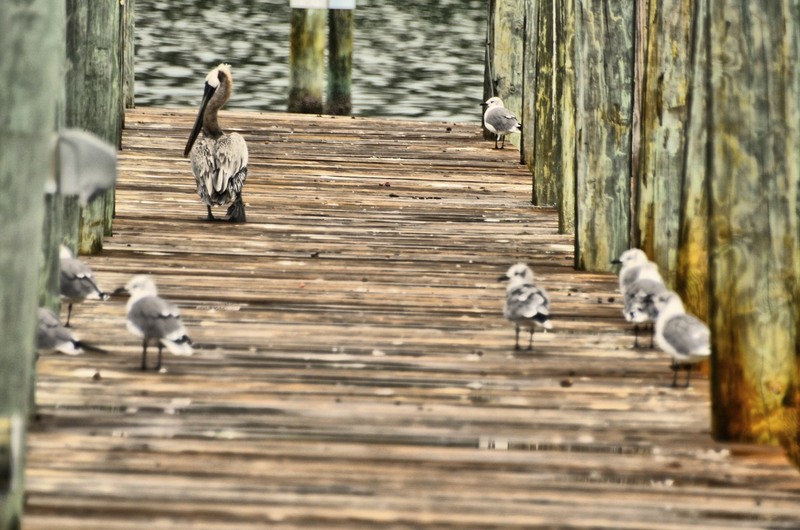 Those pelicans are fabulous - just like these shots! Amazing photos of this beautiful and unusual bird! I like the definition of the feathers on their wings. 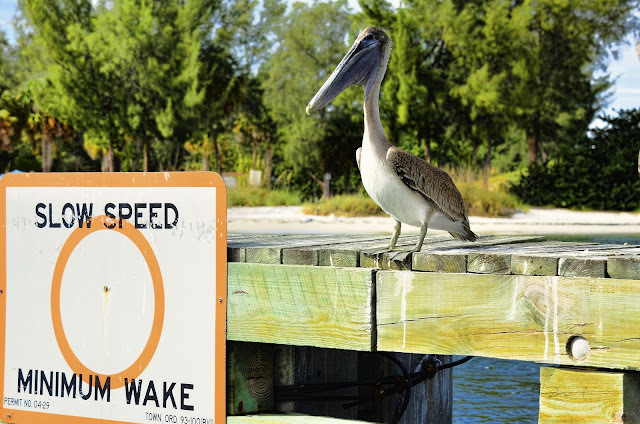 Hi there - Who can be uncheered by a Pelican! They are great birds - ours are big and white - and they are fun to watch as well. the egrets and cranes. Always a pleasure to watch. Wow. I didn't know pelicans lived that long. Sad about the fish nets though. 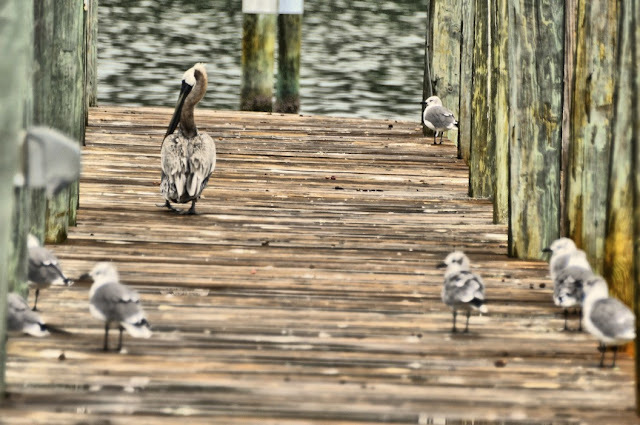 Thanks for sharing with us your beautiful pelican images, Reena. I remember seeing one with a fishing line's sinker hanging out of its beak. You feel to helpless! I have picked up many discarded fishing lines. People can be so thoughtless,can't look beyond their own nose. They are an unusual looking bird, aren't they?! 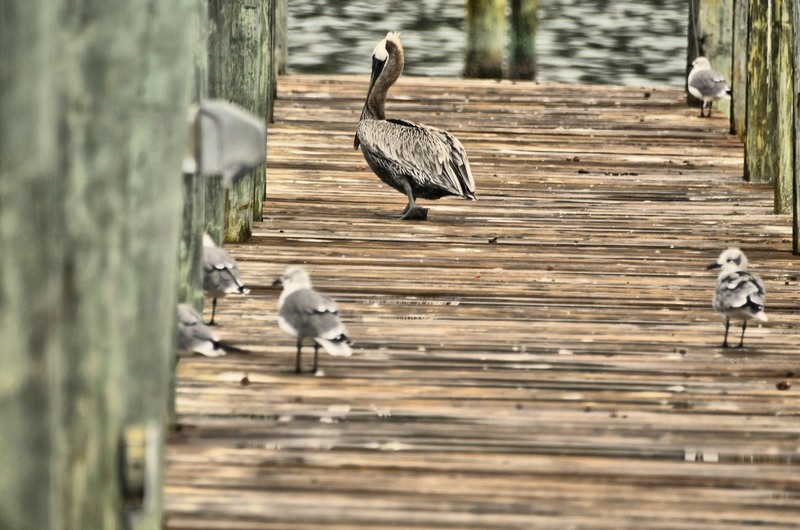 I have always loved Pelicans.... don't get to see them much since I live in Pennsylvania. Last year my sister told me a lot of them go blind from hitting the water at such an impact. Not sure if that is true. Beautiful shots of the pelicans! I remember watching them during our visits to Florida. Thank you for visiting my blog! I appreciate it! I just love these shots.. 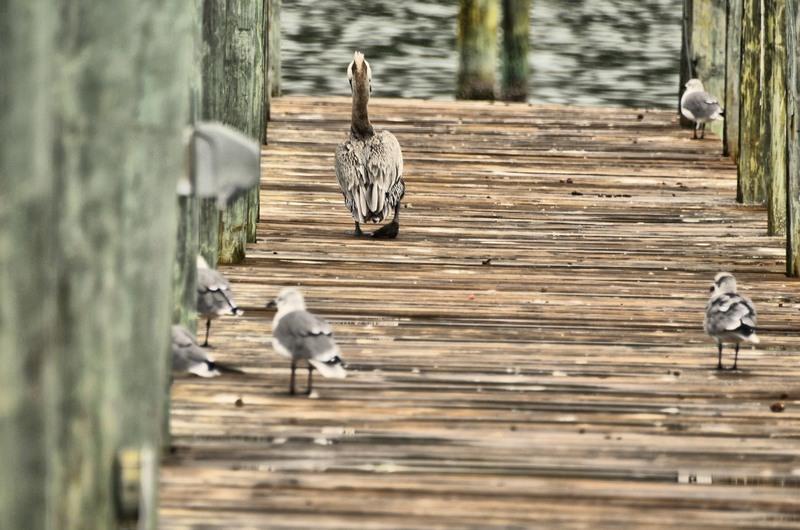 I just got a photo of a pelican the other day.. Or should I say 25 or more shots of a pelican the other day!! They didn't look as great as your shots. Looks like your enjoying you vacation!! You've introduced me to a new bird. new for me. It would be so easy to sit for hours and watch these guys. I'm thinking it must take an awful lot of grace to balance like that on top of a post, with such a long beak, short legs, and long neck. my favorite photo is the second one that shows all the detail of their feathers. it's gorgeous. imagine having to go around all day with a beak that long!!! I think they're precious birds and you're blessed to be able to share their world and photograph them. it's always a pure pleasure to visit you Reena. happy day to you. Love this post. They are ugly but dignified. They can hold more food in their beak than in their belly. You have reminded me of my first Pelican sighting while on vacation in FL back in the 80's. Great photos and great message! I Love the perspective on those pier shots, well done Reena! And who wouldn't be charmed by a pelican? I think your message concerning fishing line is so important. Imagine, an animal capable of surviving 40 million years finding it's demise because of our garbage and thoughtlessness. I love pelicans, and your photos are beautiful! Yes, I love pelicans, too! I took dozens of them at the coast - just haven't had time to even look at them. Yours are precious! I share your addiction, and happen to think these guys are gorgeous! These are lovely shots of the Pelicans! Lovely birds. Lovely shots. They are captivating to watch aren't they? I too love photographing them, but haven't had too much success when they're in flight. There's so much more to learn about what a camera can do! Those are such cool captures! Love the waddling and the little babies! These are wonderful images Reena! You really do know how to make birds look beautiful -- I love your first shot! Enjoy the rest of your vacation! They look like such characters! They really do waddle, except one that I caught literally goose-stepping. I love pelicans although ours are quite a bit bigger than yours and black and white. Love the painted wing quills on yours. The more you get to know them, the more charming they become.